Thankfully, I do not have to cook Thanksgiving dinner this year. Our cute mom will be taking care of most of the cooking but has asked us to bring some side dishes. I’m usually afraid of brussel sprouts (has anyone actually ever tried them!?) but decided to give them a try! What better way to add some delicious flavor to your vegetables than adding some of your favorite cheese!? All 6 of us have lived in Cache Valley at point or another. Whether we were going to school or living there with our families. We are slightly obsessed with Cache Valley and find ourselves there together at least once a year! 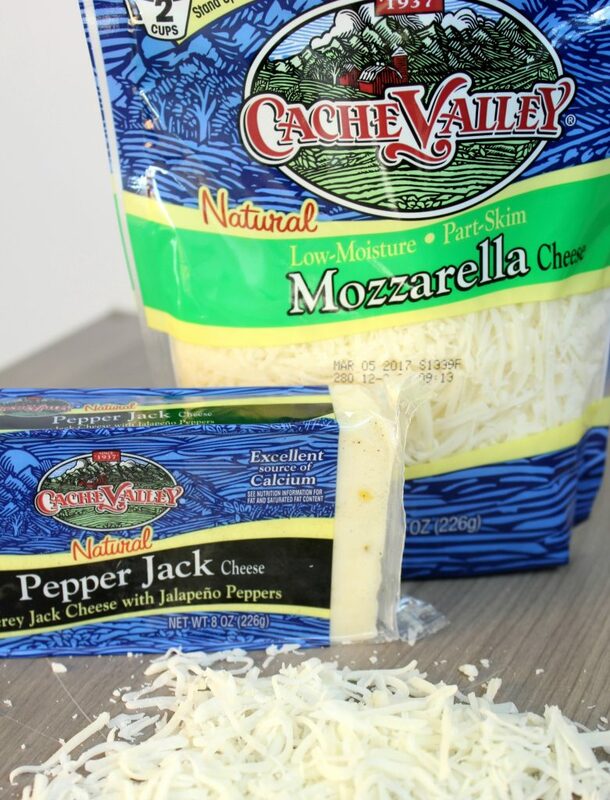 Since 1937, Cache Valley Creamery has been offering delicious cheeses using only the highest-quality ingredients to Utahans and surrounding areas. Now that we are out of Cache Valley, it is still the first thing we grab each week in the grocery store. Not only is it delicious, but you know you are eating the freshest products every single time! Cache Valley dairy products are sold at major retailers throughout Utah, including Smith?s and Walmart. It is also sold in other markets in the Mountain States at Walmart and several regional grocery stores, including Fresh Market, Ridley’s, Harmon?s Macey?s, Dan?s, Broulim’s, Red Apple, Reynold’s, Clark?s, Rancho Market, Ream?s and more. Cut off the stem of the brussel sprouts and remove any yellow leaves. Chop brussel sprouts in half length wise. Bring a pot of water to a boil and boil brussel sprouts for about 5 minutes or until tender. Drain and rinse brussel sprouts in cold water so the cooking stops. Set aside. In a pan over medium heat melt butter. Add in flour and whisk to make roux. (If you are using uncooked bacon, you can substitute the butter for the leftover bacon grease in the pan). Add milk and whisk until completely incorporated. Cook on medium heat, stirring, until mixture thickens. Remove from heat and stir in cheese, salt, and pepper until cheese is completely melted. 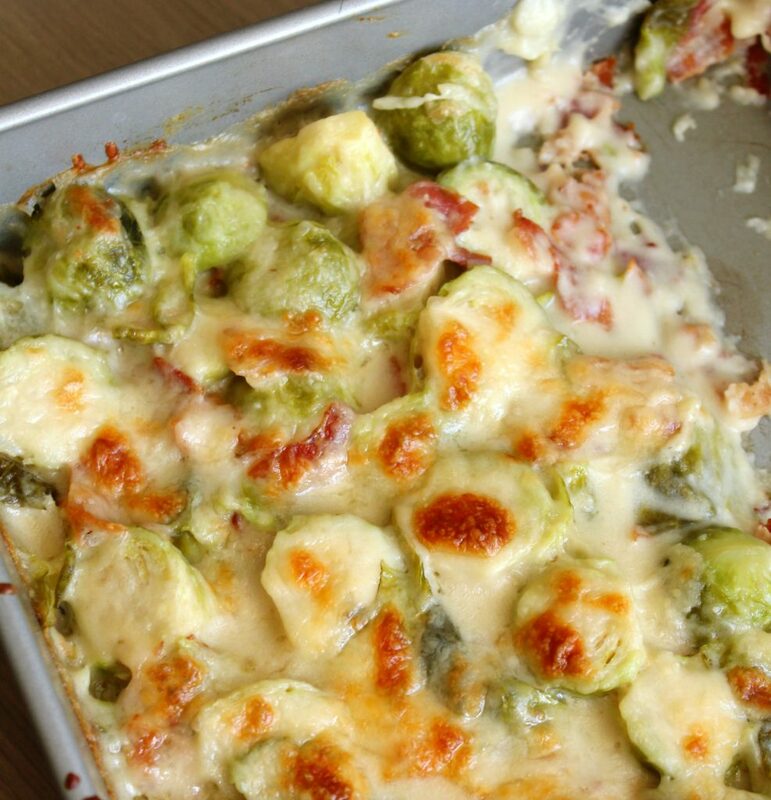 Add brussel sprouts and crumbled bacon to cheese sauce and mix until combined. 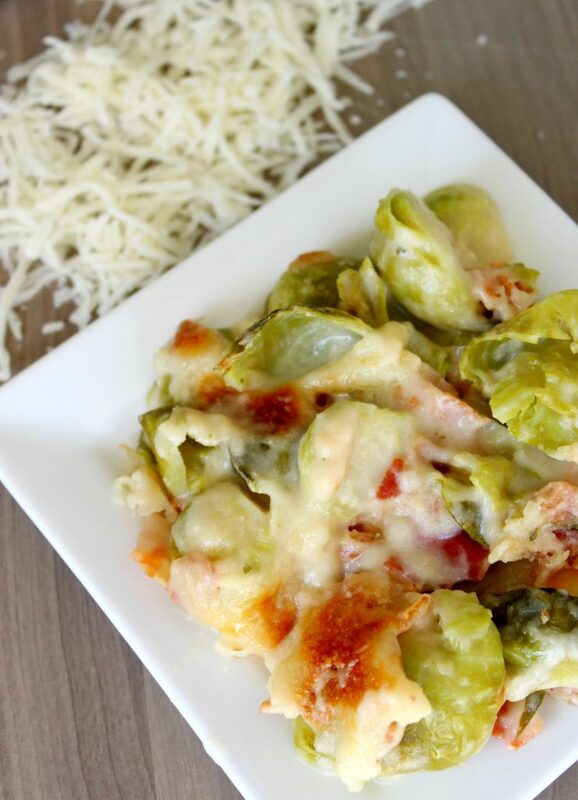 Move brussel sprouts to a small 8x8" pan and top with more mozarella cheese. Heat oven to 350 degrees F. Bake for 25 minutes or until cheese begins to golden on top. This post is sponsored by Cache Valley Cheese but all opinions are my own. Check out Cache Valley Dairy on Facebook! Thus looks very tasty, I can't wait to try. We love brussel sprouts! I'm definitely making this in place of green bean casserole (some of my kids hate green beans! WHAT!)! What temp do we bake at? Doing these for Thanksgiving! ?